If you have a 5K, 10K or marathon, then an athletic shoe drive fundraiser might be for you. You can raise thousands for your group or even a favorite charity, and all your champions have to do is give you their gently worn, used and new athletic shoes. 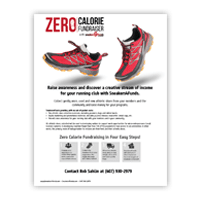 Collect athletic shoes, and you can raise thousands of dollars during one of your sports events. With an athletic shoe drive fundraiser, no one has to give you money. 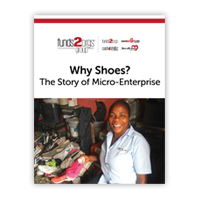 Instead, the currency becomes running shoes, trainers and other types of athletic shoes. Sneakers4Funds then issues you a check for the athletic shoes you collect. What do you get with no out-of-pocket costs for the road races athletic shoe drive fundraising program? You have a team of fundraising coaches to work with you every step of the way. You’re given yellow mesh bags to collect the athletic shoes from your champions. You get all of the marketing materials, which you can customize to your brand, including a unique landing page on OurSneakerDrive.com to promote your fundraiser. You will receive tips and strategies on social media to help ensure your success. The Sneakers4Funds logistics team picks up the shoes from your location. Sneakers4Funds will issue you a check within 2 business days of the processing of the athletic shoes at the warehouse. 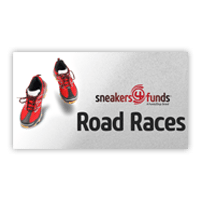 What is the Sneakers4Funds Road Race Program? 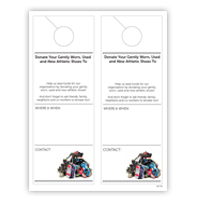 If you’re organizing a 5K, 10K or marathon, then discover how an athletic shoe drive fundraiser will help you also raise funds. 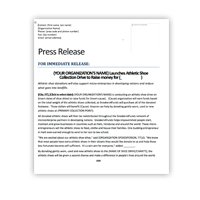 You can raise thousands of dollars for your organization or even a favorite nonprofit, and all your champions have to do is give you their gently worn, used and new athletic shoes. 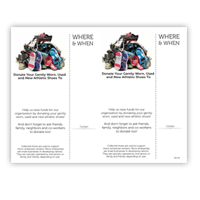 You collect the athletic shoes in a yellow mesh bag before or after road races, and then Sneakers4Funds will issue you or your favorite cause a check once the footwear is received and processed in our warehouse. 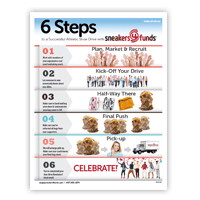 How does the Sneakers4Funds Road Race Program work? We've got experience with many road races, and all you have to do is call us to make your event an even greater success. Once you partner with Sneakers4Funds, you will be sent a Starter Kit, which will include special yellow mesh bags and rubber bands for the collection. Our team will give you the expertise for completing your road race fundraising program, you’ll also receive the marketing materials, and Sneakers4Funds will even pick up the athletic shoes from your storage location. You’ll then receive a check issued from us after we’ve received and processed the footwear. 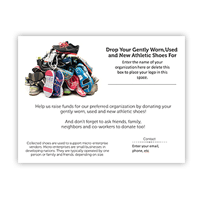 Who can do an athletic shoe drive fundraiser? We want you to succeed. Based on our experience, the best partners are those that are sport-oriented, such as running clubs, mud runs, sports teams or groups. Many schools also work with us because their students wear sneakers. We also partner with corporations and businesses that want to make a difference in a creative way for a good cause. How long does it take for me to receive a check after pick-up of the athletic shoes to the Sneakers4Funds warehouse? Your athletic shoes will be weighed and processed within 2 business days of receipt of the shoes at our warehouse. At that point, a check will be issued to your designated charity along with a reconciliation statement to you. If we happen to be in your neighborhood, we’ll collect your athletic shoes during your campaign. The process is the same. Once the shoes arrive at the warehouse, they will be processed within 2 business days and a check issued to your favorite cause. Do we have to provide volunteers to help load the Sneakers4Funds truck when they are picked up? How does the pickup process work? 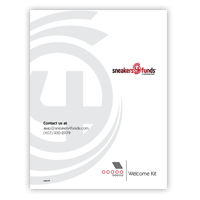 The Sneakers4Funds logistics team will be in touch with you during your campaign. When a pickup is scheduled, please make sure to have two volunteers for every 50 - 100 bags that have to be loaded. As a reminder, please remember our drives cannot be held responsible for inclement weather and traffic. We always request you maintain a window of 30 minutes prior to the scheduled arrival time and 30 minutes after so as to provide the driver a sufficient window. The Sneakers4Funds driver will call you to confirm the time of arrival. When will our organization receive our check from Sneakers4Funds? Your athletic shoes will be weighed and processed within 48 hours (business days) of the shoes at arriving at our warehouse. At that point, a check will be issued along with a reconciliation statement. If we happen to be in your neighborhood, we’ll collect your athletic shoes during your campaign. The process is the same. Once the shoes arrive at the depot, they will be processed within 48 hours on business days and a check issued. You would also get a pickup at the end of your campaign. 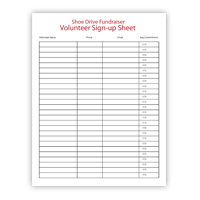 Reach out to a fundraising coach today and ask for your free, no-obligation information kit about how you can raise money in this creative athletic shoe drive fundraiser.